Home Westerly Stand Up Paddle Board (SUP) Fit! Stand Up Paddle Board (SUP) Fit! 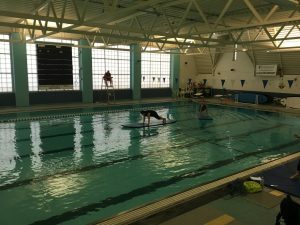 SUP- Fit is an athletic interval water class that will incorporate paddle drills and functional movements on the boards to create an interval based workout. The focus of this class is having FUN while using core stability to improve the overall functioning of the body and build a stronger, more balanced physique. Participants are encouraged to wear exercise type clothing. Paddle boards are provided.